← Uncle Sam – He Collects From Us So Why Not Collect Him? Homey don’t play dat…but apparently, you can play with Homey! 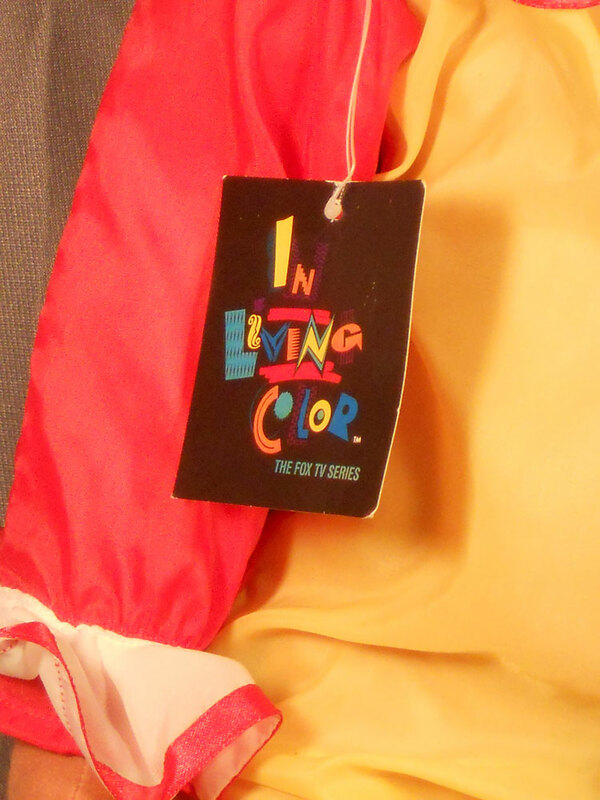 In the early 1990s, the sketch comedy show In Living Color was enormously popular. It was the first truly well-received sketch show alternative to “Saturday Night Live” in a long time, running for a total of five seasons on the Fox network, which at the time was a relatively new network trying to find its footing as it tried to compete directly with the “big three” networks. It also ended up launching several very successful careers, including Jim Carrey, Jamie Foxx, and Jennifer Lopez, as well as those of the Wayans siblings. Of course, like any sketch comedy show, the cast members were responsible for several very memorable characters, such as Carrey’s Fire Marshall Bill and Damon Wayans’s and David Allen Grier’s “Men on Film.” While Saturday Night Live had characters such as the Blues Brothers, the Coneheads, Toonces the cat who could drive a car, and Ed Grimley (although Martin Short created him for SCTV, the character rose to fame when Short brought him over to SNL) that would go on to receive merchandise, these characters seemed somewhat tame and even kid-friendly when compared to Carrey’s burn victim or Wayans’s and Grier’s overtly homosexual stereotypes. That’s why I was shocked to learn that In Living Color did receive one piece of somewhat kid-friendly merchandise: a 24” tall plush doll of one of their most popular characters, Homey D. Clown. Why on Earth Acme Supply Company thought that Homey was a great character to turn into a doll is beyond me. However, back in the early 1990s, there were stores like Spencer Gifts where you could buy “toys” that had sort of a risqué or overtly offensive or political quality to them. That’s why it’s so depressing to walk into a Spencer’s store these days. Those of us who remember how great it was in the 1980s and 1990s long for the kind of store it used to be, since that was before online ordering was commonplace and the store was perhaps the only place you could go to reliably find oddball items like Homey. I bought this at an antique store in Cape May County back around the 2009 holiday season. I think I paid about $20 for it, so it wasn’t exactly a bargain. However, for a plush toy, it’s in remarkably nice shape with its original hang tag. 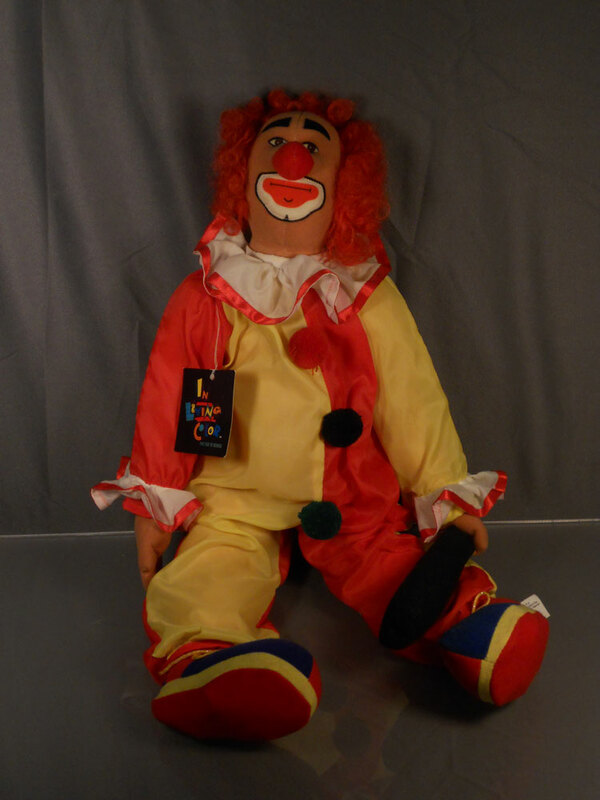 If you really want a Homey D. Clown plush for your own collection, they’re not incredibly hard to come by, but they do command a pretty hefty price tag (approximately $40 to $50) for an old plush toy that’s only a little more than 20 years old. This entry was posted in 1990's, Ben, Dolls, Humor, Toys, Uncategorized, Weird. Bookmark the permalink. I have one of those. Pulled it out of one of those dollar claw machines at K-mart back in the 90’s.